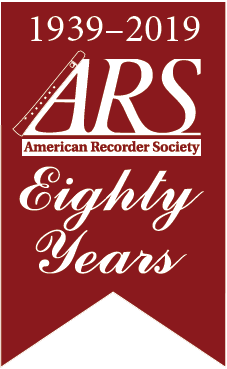 Description: One-day recorder workshop in Ann Arbor, Michigan. This year's theme is Unleashing the Expressive Powers of the Recorder. Workshop leader is Corinne Schat. Corinne Schat began her professional recorder studies with Michael Lynn at the Oberlin Conservatory. She went on to study at the Amsterdam Conservatory of Music with Walter van Hauwe where she received her Masters degree in Recorder Performance and Pedagogy. She has appeared as a recorder soloist with the Toledo Symphony, performed at both the Boston and Berkeley Music Festivals, and collaborated with musicians and ensembles throughout the United States and Europe including Xantippe, Apollo’s Fire, Schat Bruggen Ensemble, Oriana, Ensemble Buffardin, Paul Leenhouts, Albert de Klerk, and the Amstel Duo. Active as a teacher and director, she has given workshops for Recorder Society chapters in Michigan and Ohio and served as the Director of the Ann Arbor Recorder Society for over 10 years. As a public school music teacher, she has directed middle school choirs and introduced hundreds of young students to the recorder. royalty and nobility. Recorders possess a singularly unique sound and the power to create mood and stir emotion. In this workshop, we will explore these unique qualities by playing a mix of evocative recorder repertoire spanning 400+ years. We will apply techniques specific to tone, articulation, dynamics and phrasing that heighten the mood and enhance the emotional character of the music. Date: Saturday April 27, 2019, 8:30am-4:00pm. Registration fee is $45 at the door, and $40 if mailed to Judy Smutek by April 13. Checks payable to Ann Arbor Recorder Society.